There is third party verification from other countries of orbital imagery of the Apollo Lunar landing sites. I worked on the 'Appolo Lunar Landing Mission' so I know it did happen, however don't take mine and others word for it, as plenty of non US orbital imagery exist showing the landing sites. That pretty much ends any unsubstantiated theory that the US did not land on the Moon. According to the JAXA press release, these new maps are ten-times more accurate than previous maps. 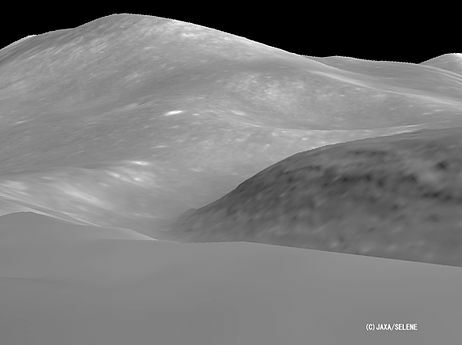 Using the laser altimeter (LALT) instrument, 3D data of the shapes and altitudes of surface features are promising to give the most advanced relief mapping capabilities ever performed on a planetary body other than the Earth. It has also been indicated that deposits of uranium, potassium and thorium have been pinpointed through the use of one of its onboard spectrometers. This will have massive implications for the future of manned exploration of the natural satellite. 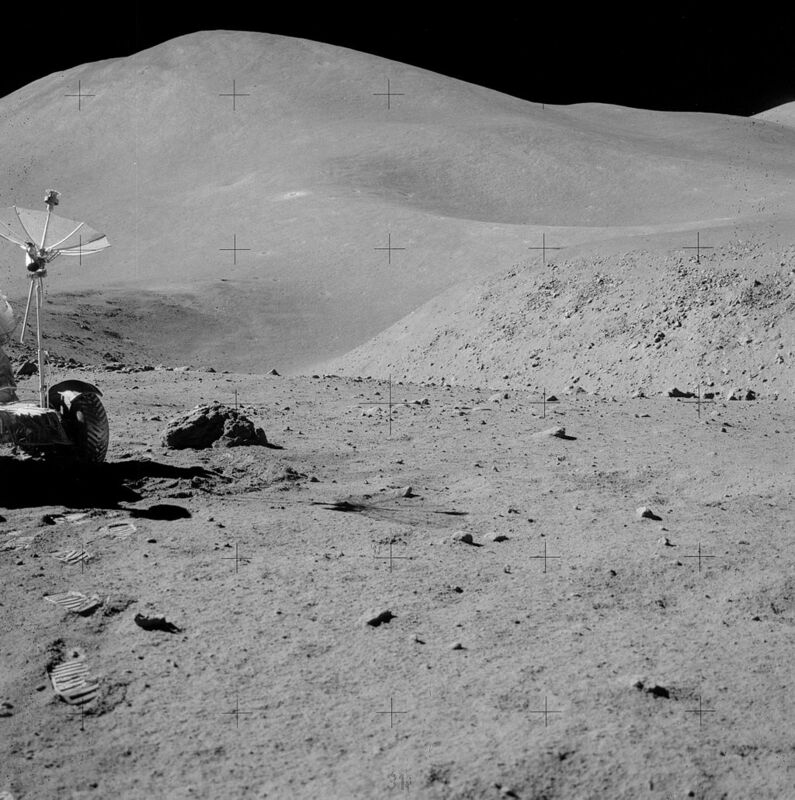 It is likely that a nuclear source of energy would be required for future lunar settlements, if there are quantities of uranium to be mined, this will have an impact on where the settlement should be located. With this they were able to match the horizon perfectly with the moon landings as seen below. I think this is end of story for moon conspiracies. If there are real people, who are stupid, ignorant, uninformed, retarded, or just plain dumb enough to actually believe that we didn't go to the moon, there's an EXTREMELY small chance that they are even going to be able to comprehend the OP. I would think they would be much more concerned with learning to do the important things, like how to eat, walk, or understand concepts like speech, learning to walk, or even the most basic social skills. Hopefully, they won't reproduce, and contaminate the rest of the gene pool. I just don't have much tolerance lately for stupid. However, if some of them learn to actually communicate, you know, with actual people, bring it. Seriously. 1 - Didn't know the no stars was such a strong argument anymore. I'm almost certain that was no longer a piece of evidence for the no moon landing. At least for me. 2 - My issues of the moon landing have nothing to do with stars, my issues come with other things including lack of wheel tracks in certain photos, the fact that the astronauts refused to speak about it afterwards unless forced to and even then they looked miserable (first moon landing I'm talking about). 3 - The telemetry and data was lost, then found, then possibly destroyed, then found again, then lost and then destroyed and NASA scientists have already said "Even if we had the information we wouldn't know how to read it or rebuild the machines to read it". I should add that these are only three of my issues (would consider writing a thread for it but with ATS being taken up by Political stuff and more annoyingly Mandela effect - Hate that don't see the point) I've never said we haven't been and do believe that we have been in orbit at the very least I just don't believe that the first moon landing and possibly the second actually took place. As a semi-professional photographer (I've only done a couple dozen weddings), explaining exposure to a friend who was convinced it was all faked, I truly appreciate this video and the ray tracing they did. That it's done in real time is even more impressive. This is one conspiracy theory that I've always distanced myself from, as it was always clear people who claimed it never really took the time to understand physics and light. I'm pretty glad we can put it behind us. Not many, my GTX870 could do ray tracing but not near as well as my GTX 1080.